Qantas announced on May 2, 2018, an order for six additional Boeing 787-9s to fly on its international network, bringing its fleet of Dreamliners to 14 by the end of 2020. The arrival of the new aircraft should accelerate the retirement of the airline’s last six Boeing 747s. The Qantas Group CEO Alan Joyce hailed the announcement as “the end of one era and the start of another” for the national carrier. “The jumbo has been the backbone of Qantas International for more than 40 years and we’ve flown almost every type that Boeing built. It’s fitting that its retirement is going to coincide with our centenary in 2020,” Joyce said. According to the CEO, the Dreamliners will do exactly what the Jumbos once did – they will allow Qantas to fly further with improved efficiency, thus opening up new routes and improving passenger comfort. “The 787 has better economics and a longer range, and it’s already opened up new routes like Perth to London. With a larger fleet of Dreamliners, we’ll be looking at destinations in the Americas, Asia, South Africa and Europe,” Joyce added. Qantas already took delivery of four 787-9s with a further four due to arrive by the end of 2018. The additional six announced on May 2, 2018 will arrive between late 2019 and mid-to-late 2020. Interiors of the additional 787s will feature the same configuration as the existing aircraft. The Qantas Dreamliner carries fewer passengers than the larger 747 (236 seats vs 364), but is 20% more fuel efficient and has a greater focus on Business and Premium Economy seating. However, the reduced maintenance needs of the 787 plus more efficient aircraft patterning and reduced payload restrictions on long routes mean the actual impact on overall capacity for Qantas International is expected to be negligible. Investors welcomed the announcement as it shows that Qantas is prioritizing its fleet. According to The New Daily, the share price rocketed by more than 6%, however that may be due to the latest prediction that the airline will deliver a record before-tax profit of up to $1.6 billion. Nick Tarrant of IBIS World pointed out to The New Daily that Qantas record profits in recent years had “provided the airline with the capital necessary to fund upgrades to its aircraft fleet”. The Group announced its 2018 half year financial results, posting $976 million underlying profit before tax. There are currently 10 of the 747-400s left in Qantas fleet and these will be steadily retired between July 2018 and the end of 2020. And the Australian carrier is not the only airline scrapping the 747s. Experts agree that the jumbo jet’s (as well as the Airbus A380 super jumbo) days are numbered. They are both considered too costly and fuel inefficient for today’s major airlines. The new Dreamliners will also reduce the average age of Qantas fleet, which was rising steady over the last few years to 10.6 years in 2018, making it the 10th oldest in the world, the Business Insider reports. 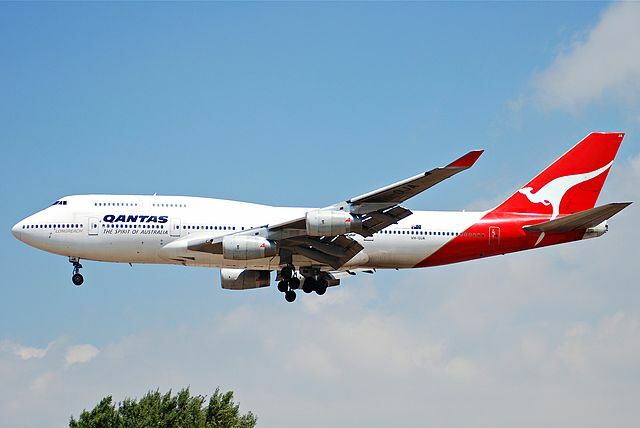 At the time of retirement, the Qantas 747s will be 17 years old.